Bim, a builder, and her brother Bom, a baker, live on opposite sides of town. All week long they work hard but when Shabbat comes, they celebrate the day together. 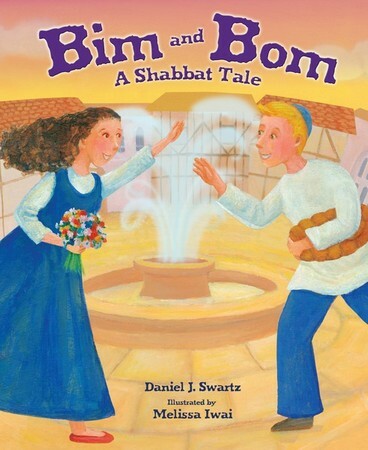 A warm story of village life inspired by the well known song Shabbat Shalom. Song notes and lyrics included.